Under the direction of the CPP, the National Operational Command of the New People’s Army (NPA-NOC) orders all territorial and unit commands of the NPA, including all units of the people’s militias, to stay on active defense mode as we welcome the unilateral ceasefire declaration yesterday by GRP President Rodrigo Duterte and await its operational details. By staying on active defense mode, the NPA prepares for a reciprocal unilateral ceasefire declaration by the CPP and the NDFP to be issued soon as a boost for the upcoming NDFP-GRP peace talks. 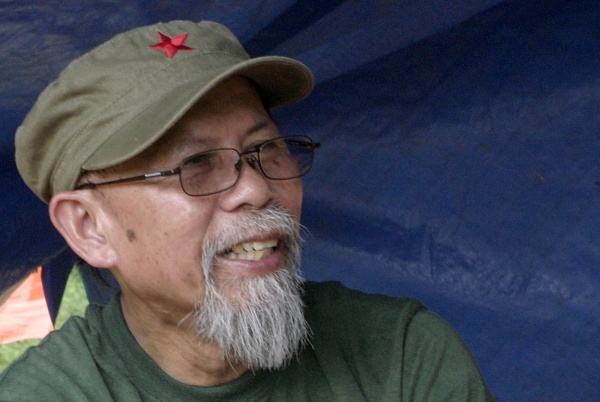 An exchange of unilateral ceasefire declarations will be one of the first items in the resumption of NDFP-GRP peace talks scheduled for August 20-27 with the aim of making these unilateral declarations effective. The NPA and all revolutionary forces will closely observe how President Duterte’s declaration is carried out by the AFP and whether there will be a clear termination of military operations and offensives being carried out under the US-designed Oplan Bayanihan counter-insurgency war of suppression. As of this morning, reports from the field indicate that units of the AFP have remained stationed in communities and have yet to withdraw from their offensive operations in Isabela, Cagayan, Bulacan, Quezon and Batangas, Camarines Norte, Camarines Sur, Albay, Sorsogon, Samar, Surigao, Davao del Norte, Davao del Sur and other provinces. In light of the GRP ceasefire declaration, the people seeks the immediate withdrawal of operating troops which have been conducting psywar and surveillance operations in communities and reconnaissance and search-and-destroy operations inside the guerrilla zones and base areas of the NPA. The Lumads of Mindanao are especially hopeful that Duterte’s ceasefire declaration will result in the withdrawal of troops from their communities in order for them to resume their normal lives, reopen their schools and carry out economic activity without fear of military reprisals. Prior to yesterday’s unilateral ceasefire declaration by Duterte, the NPA-NOC has observed how the AFP has extended and intensified military offensives under the Oplan Bayanihan in complete disregard of the avowed policy of engaging the revolutionary forces in peace talks. Over the past weeks, the AFP has been carrying out intensified combat and patrol operations, reconnaissance and intelligence activities, occupation of civilian communities and attacks against human rights in the vain hope of scoring some points to cover their defeat of the Oplan Bayanihan after six years of failing to achieve their aim of reducing the NPA to inconsequentiality. Prior to the Duterte unilateral ceasefire declaration, the AFP intensified military offensives in Mindanao. The AFP sought to defeat the NPA nationwide by defeating it here in Mindanao. It has been a distinct feature of Oplan Bayanihan that 60% of the AFP’s battalions, air assets and war equipment are deployed in Mindanao. In Mindanao and in other parts of the country, the AFP unleashed ruthless and relentless military campaign and operations resulting in rampant violations of human rights. In addition to “peace and development”, the AFP has been using the “anti-drug campaign” as pretext to embed themselves in the communities to carry out counter-insurgency patrols, surveillance, campaigns of suppression and militarization of communities. In particular, the AFP and its paramilitary forces must stop its campaign of terror against the people of Paquibato District, Davao City. Several people have been killed by fascist soldiers recently including Marjun Baruel, killed on May 19, Paul Saludaga, Mayo 21, Johnny Basilisco, June 6 and Maria Cayad, June 8. On June 9, following an encounter in Barangay Lumiad, Paquibato District, two Red fighters Joel Biliran (Ka Will) and Elenita Garing (Ka Milo), were arrested, tortured and murdered. Ka Milo was raped prior to being summarily executed. Also last July 1, in Magpet, North Cotabato, the cadaver of a slain NPA Red fighter, Noel Gulmatico (Ka Jepoy) was desecrated last July 1 by elements of the 39th IB with both eyes gouged out, tongue sliced and neck stabbed. In Cagayan province, operating troops of the 86th IB abducted 16 members of an Aggay clan, including women and children last June 17. In Malibcong, Abra, four Tingguian minorities hunting wild game were arrested by the 27th IB last July 1. There is a renewed offensive against the community schools. Last July 15, armed men attacked Lumad datu Danny Diarog and killed Hermie Alegre, PTA president of the Salugpongan school in Tugbok District, Davao City. A few days earlier, parateachers Fahara Kabuntalan La and Sittie Usop Abdullah were killed when they were ambushed by masked armed men while enroute to Cotabato City. Their companion Aisah Karon Malugka and the tricycle driver were wounded. The AFP continues to train, arm and employ para-military groups to terrorize communities, conduct robberies and kidnapping for ransom, and proliferate gambling and illegal drugs. They continue to block the safe return of the Lumad evacuees displaced by canon and aerial bombardment, military atrocities and the occupation of their community by military troops. Such operations of the AFP are part of efforts to protect the interest of the plunderers and environmentally destructive imperialist mining and plantations. By staying on active defense, the NPA must remain ever alert to AFP offensive military operations, including reconnaissance, surveillance and intelligence operations, patrols and search-and-destroy operations, as well as psywar operations and suppression campaigns against civilians and communities in the guise of “peace and development” Oplan Bayanihan operations. Such operations must be vigorously exposed and opposed by the people. Counter-offensives by the NPA as acts of defense can be resorted to as a last option if relentless attacks and violations of human rights are committed with impunity by operating troops of the AFP and PNP especially against communities, women, the elderly, children and such infrastrucure as self-run community schools. Until otherwise specified in further orders, the NPA will continue with its outstanding work of defending the rural communities and the environment. It will have to be vigilant and defend against the military offensives of the AFP, PNP and their paramilitary vigilante groups. It will continue to arrest and disarm big drug traffickers and police and military protectors and operators. The NPA will continue to conduct educational, political and cultural campaigns to mobilize the people to assert their rights and advance their struggle for genuine land reform. Red fighters nationwide must not lose the initiative in defending the rights and interests of the masses, oppose and frustrate continuing operations under Oplan Bayanihan and further strengthen and expand its forces and base areas and accumulate bigger revolutionary victories. On behalf of all revolutionary forces in Mindanao, the NDFP-Mindanao joins the Filipino people in welcoming Pope Francis to the Philippines, especially to areas heavily affected by super typhoon Yolanda. In deference to the Papal visit, the NDFP-Mindanao has reiterated to the New People’s Army (NPA) in the island to strictly comply with the 10-day ceasefire declared by the NDFP at the national level, which includes in its coverage the four-day stay of the Pope in the country. The 45th anniversary of the New People’s Army is a major victory because in the face of so many enemy attacks, and the many problems we have encountered, we have overcome them all. First, the NPA was established through the 1st Great Rectification Movement which caused the rapid advance of the revolutionary movement nationwide. But the advances were made alongside some negative developments. One of this was the deviation from the correct line. But the deviations were checked in the nick of time because the Second Great Rectification Movement was launched at once and since then, there has been a resurgence in the revolutionary movement nationwide, especially in Mindanao. Jorge “Ka Oris” Madlos, NDFP Spokesperson for Mindanao greets Prof. Jose Maria Sison for the latter’s 75th birthday and his 55 years of service to the Filipino people. Part of this video is shown in Sine Proletaryo’s main video for Prof. Jose Maria Sison, JOMA: 55/75.